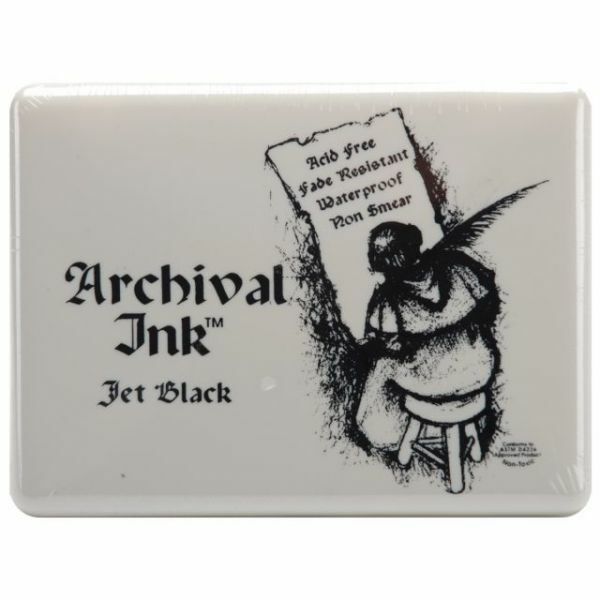 Archival Jumbo Ink Pad #3 - RANGER-Archival Ink Pad. Archival inks are manufactured with fade resistant dyes in a non-toxic, acid free, waterproof system. They won't deteriorate paper or photos and they won't bleed when painted over with watercolors or water based markers. Conforms to ASTM-D4236. Measurements: 5x6-3/4x3/4in. Made in USA.